The budget smartphone segment in India attracts a cut-throat competition, which means one can easily get confused about what to choose. As of now, there are plenty of brands that sell quality budget phones in the country. You can choose phones from Xiaomi, OPPO, Honor, Lenovo, Nokia and several other companies. So to help you make a decision, we are going to list down six of the best smartphones priced under Rs 12,000 that don’t skimp on any of the aspects. Let’s begin. 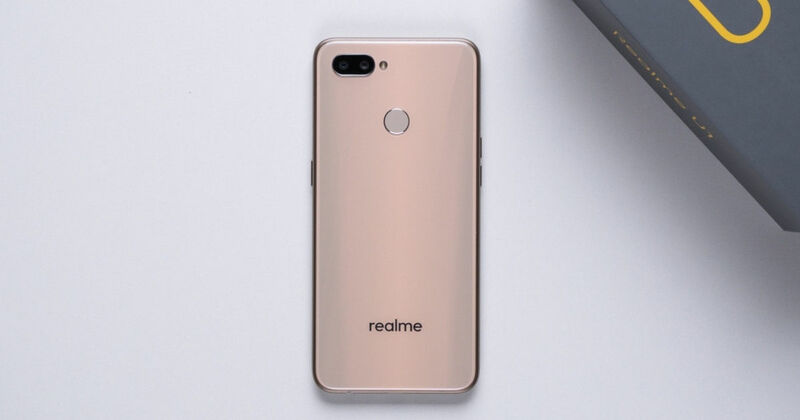 Realme was established just last year, and within such a short span of time, the company has come a long way. The Realme U1 is the latest phone from the company and starts at Rs 11,999 for the variant with 3GB RAM and 32GB internal storage. The phone features a 6.3-inch Full HD+ display with a tiny waterdrop notch at the top. The cut-out houses a 25MP camera, which enables high-res selfies along with offering Face Unlock capability. At the back, there’s a combination of 13MP + 2MP cameras with AI features. The device is powered by the octa-core MediaTek Helio P70 chipset. A 3,500mAh battery keeps the package running. Honor, the subsidiary of Huawei, makes really good budget smartphones. The Honor 8C is our favourite when it comes to phones priced under Rs 12,000. The handset features a 6.26-inch HD+ display with a rectangular notch at the top. The Snapdragon 632 octa-core chipset powers the phone, which works in tandem with 3GB of RAM with 32GB internal storage. As for the cameras, there’s an 8-megapixel sensor at the front and a dual-camera setup (13MP+2MP) at the back. Juicing up the phone is a 4,000mAh battery. The ASUS Zenfone Max Pro M1 is a phone that has been very popular in India. This phone was released in April last year and while ASUS has already launched its successor, the Max Pro M1 is still a very good buy. For Rs 11,999, you will be able to purchase the version with 4GB RAM and 64GB of internal storage. The phone features a 5.99-inch FHD+ display without a notch and is fuelled by the Snapdragon 636 octa-core chipset. The device also comes with a massive 5,000mAh battery that should easily last for two days of use. In the camera department, it has 13-megapixel and 5-megapixel snappers at the back and an 8MP selfie shooter. The Redmi 6 Pro is the brand’s most affordable smartphone that comes with a notch-toting display. The 5.84-incher bears a resolution of 1,080 x 2,280 pixels with an aspect ratio. Under the hood, the phone packs in the reliable Snapdragon 625 chipset, which works alongside 3GB or 4GB RAM, depending upon the model you opt for. For imaging, the handset gets a pair of shooters on the back, with a 12-megapixel primary camera and a 5MP depth-sensing unit. A 5MP sensor is present on the front for your selfie needs. The device sips juice from a powerful 4,000mah cell. The Nokia 5.1 Plus is an Android One device and features a 5.8-inch HD+ display with a notch at the top and a chin at the bottom with the Nokia branding. The smartphone comes powered by the MediaTek Helio P60 processor, which is paired with 3GB RAM and 32GB storage. There are two rear-facing cameras, comprising a 13-megapixel shooter and a 5-megapixel depth-sensing unit. On the front, an 8MP sensor takes care of selfies. A 3,060mAh battery is included inside. Packed with a Snapdragon 450 processor and a 5.7-inch full HD+ display, the Moto G6 isn’t as powerful as the rest of the phones in the list. However, it is still a well-made device that some might prefer. It comes with 3GB RAM and 32GB storage if you go for the base variant. The phone has dual rear cameras with a 12MP snapper paired with a 5MP depth unit. For selfies, there’s a 16-megapixel camera with flash. The device is powered by a 3,000mAh battery. The phone also features a front-mounted fingerprint scanner. There you go. These are the best smartphones with a powerful set of features, with all of them priced below Rs 12,000. Which one of these caught your attention? Let us know in the comment box below.